Together with my family on June 16th, I attended one of the best live shows I have ever seen: Radiohead played in a park in Monza, Italy, in front of more than 50 000 people. We accidentally bought fan pit tickets and got to be only 20 meters away from the stage. Even the opening acts left me with unforgettable, and amusing memories: a 50-something white guy wearing a baseball hat danced a little too enthusiastically to Michael Kiwanuka’s “Black Man in White World” while James Blake messed up one of his songs and joked about not knowing his own music. And then, as the sun began to set, Radiohead’s two-hour long concert opened spectacularly with a light show and the song “Daydreaming”, which was written for Thom Yorke’s late wife. I will forever remember the guy with the purple bandana next to us who seemed to be Radiohead’s biggest fan, jumping with such enthusiasm to every jumpable song — from “Idioteque” to “Myxomatosis” to “Ful Stop”. I couldn’t help but find the middle-aged couple in front of me adorable as they kissed every time Thom Yorke sang “You’re all I need” in the song “All I Need”. I even enjoyed the concert when my brother, I, two guys in the back and the guy with the bandana asked for “Let Down” to be played but didn’t get our wish; the irony is not lost on me, and somehow the other 25 songs they played more than made up for it. About a month and a half later, as much as I loved the concert and kept looking back at the awkwardly cute family selfie we took, I couldn’t stop thinking about the ongoing controversy over one of the concerts in the band’s “A Moon Shaped Pool” tour: on July 19th, Radiohead performed in Tel Aviv, Israel. 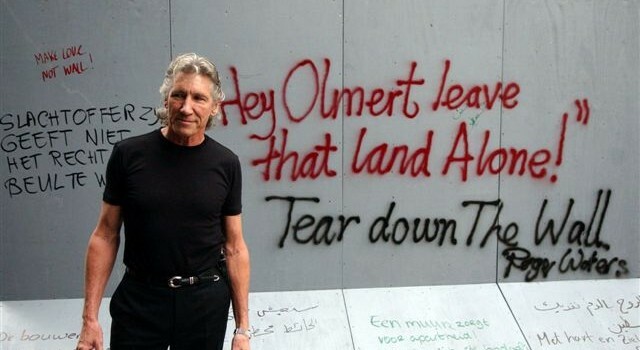 Proponents of the BDS (Boycott, Divestment, Sanctions) like ex-Pink Floyd frontman Roger Waters and a portion of Radiohead’s own fan base signed a petition urging Radiohead to cancel their show. BDS is the key nonviolent movement in the Israel-Palestine conflict that is supported by Palestinian Civil Society. It “calls for a complete cultural boycott of Israel until Palestinians are granted the ‘right of return’ and the West Bank barrier is demolished”. [*1] Certainly, the Israel-Palestine situation is a profoundly complicated one that does not have an easy solution nor classification. While some believe that the state is just, others call it an occupation. While some disapprove of it on the grounds of anti-semitism, others are concerned with the treatment of Palestinians. Bard, as an institution, also has a complicated relationship with the conflict: our schools are attended by Israeli and Palestinian students alike, while our Bard Al-Quds campus has been raided by the IDF. As the UN warns that the Gaza strip will be uninhabitable by 2020 [*2] and as the US Senate pushes to pass a bipartisan bill that criminalizes the BDS movement– criticized by the ACLU for “penalizing political beliefs”[*3] and being anti-First Amendment — one cannot say that Radiohead’s concert in Israel was a simple or innocent artistic act that took place in an apolitical vacuum. Their art exists within a bigger context and the implications of their choice to proceed with the concert call for examination. Aside from literally flipping off pro-Palestinian activists at Glasgow [*4], Thom Yorke’s response to the controversy consisted of severely flawed arguments that left me, a fan of their work, more than disappointed. Yorke dismissed a lot of the criticism on the premise that he was being “talked down” to. This is a lazy defense on his part that ignores the nuance of the situation entirely. Addressing boycotts as an activist strategy, Yorke says that they “create divisive energy. You’re not bringing people together. You’re not encouraging dialogue or a sense of understanding.”[*5] While it is true that boycotts are, by nature, exclusive and divisive, Thom Yorke does not offer his fans and the world another strategy to help Palestinians that would be more effective and inclusive than BDS. With this defense, Yorke doesn’t further dialogue or get us anywhere closer to a solution. Indeed, it seems that Yorke is more outraged by the political dialogue within the artistic community than the real issue at hand: “It’s really upsetting that artists I respect think we are not capable of making a moral decision ourselves after all these years.” [*6] But, in order to reach any kind of answer as to whether or not an action is moral, one must engage in discourse and not simply throw up defenses as Yorke did. Surely people like Roger Waters, Desmond Tutu, and other Radiohead fans are interested in discussing issues of moral importance in a critical manner. Determining what is and isn’t moral is an important part of what art and politics are often about, and surely a band that has created political art in the past should be willing to listen to their peers. 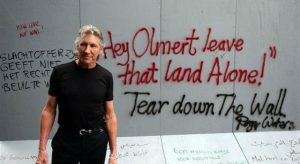 Still, not all musicians engage with politics in their work, let alone beyond it. The musical community and impact of its work is vast and varied: boy bands like One Direction simply make generic love songs, while Pink Floyd’s seminal album “The Wall” tackles issues of post-World-War-II trauma and Nazism. Vampire Weekend played on Bernie Sanders’ campaign tour while other bands expressed no presidential candidate preference. Of course, we do not expect all musicians to publicly participate in politics. But I had different expectations of Radiohead. I expected the band who made “O.K. Computer”, an album that provides a sharp critique of cultural capitalism, and “Hail to the Thief”, an album that tackles topics of authoritarianism and specifically targeted the George W. Bush administration, to be more willing to engage in dialogue with their fans about such a pressing issue. At Radiohead’s Monza concert, before the band played the song “2+2=5”, which references George Orwell’s dystopian 1984, Thom Yorke dedicated it to Theresa May, Margaret Thatcher, Donald Trump, and Silvio Berlusconi. With that Yorke and Radiohead took a stance against these right-wing politicians, proving that they are not shy to participate in the public sphere. “The person who knows most about these things is [Radiohead guitarist] Jonny [Greenwood]. He has both Palestinian and Israeli friends and a wife who’s an Arab Jew. All these people to stand there at a distance throwing stuff at us, waving flags, saying, ‘You don’t know anything about it!’ Imagine how offensive that is for Jonny. And imagine how upsetting that it’s been to have this out there. Just to assume that we know nothing about this.” [*7] As much as this argument sounds suspiciously like “I have black friend, I can’t be racist” to me, let’s engage with it for a moment. Yorke claims that the band has an understanding of this deeply complex political situation because they intimately know a person that is affected by it. It is likely true that Jonny Greenwood’s wife aided the band’s understanding of Israeli-Palestinian politics. But the problem is not that they do not understand the injustice of the Israeli state: the problem is that they do not engage in a discourse about it. Recognition of an issue alone treads a very fine line with complicity. It is precisely for this reason why fans, especially Palestinian fans, feel betrayed by Radiohead’s decision to proceed with the concert in Tel Aviv. One such fan is the Palestinian-American journalist Ali Al Arian. In a video posted by Jewish Voice for Peace, Arian shows his Radiohead CD collection and expresses his appreciation for their engagement with politics. 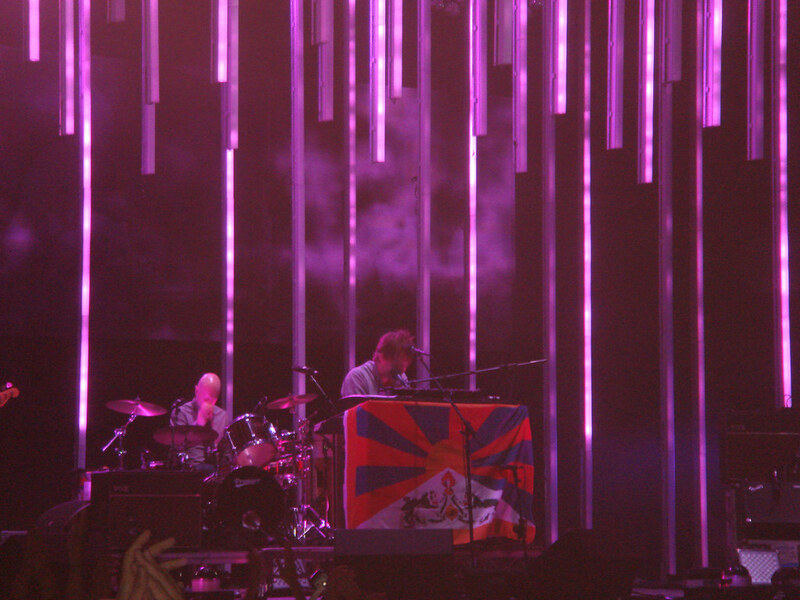 Arian recalls watching Thom Yorke play “Everything in Its Right Place” at a concert in Paris with a Tibetan flag over his piano and says in a very sober manner: “As a descendant of a stateless people, this act of solidarity spoke volumes to me. But almost instantly another thought appeared to me: to support Tibet is to add your name to a cause that’s already fashionable. 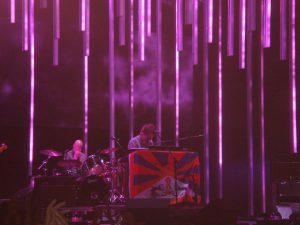 But would I ever see you do the same with a Palestinian flag?” [*8] So are Radiohead, then, only political when it is convenient? At least to me, it certainly seems so. But this is not what activism is about. Arian’s argument is an important statement about what it means to be a part of activism — namely, voicing unpopular opinions and dissent. It also speaks to what it means for famous people with a platform to be a part of social or political movements: they serve to elevate lesser known or unsupported issues into the mainstream discussion. It is precisely for these reasons that Radiohead standing with BDS would have mattered. They possess the voices that are heard, that the world listens to. “A lot was said about this, but in the end we played some music,”[*9] Thom Yorke said during Radiohead’s Tel Aviv show last Wednesday (19.07), suggesting that their concert had merely an artistic significance. In addition to this, Yorke said “playing in a country isn’t the same as endorsing its government,” [*10]and “we don’t endorse [Israeli prime minister Benjamin] Netanyahu any more than Trump.” [*11] However, the reality isn’t as straight-forward as these statements. Though it is true that both Israel and the US currently have widely disliked right-wing leaders, the strategies that the international community has chosen to resist their regimes are vastly different. A parallel to the international cultural boycott against Israel does not exist for the US — it is a false equivalency. So, no, it’s not simply “playing some music”; it is playing music within the context of violating an international call for boycott by Palestinian Civil Society. This is not to say that Radiohead should be forced into participating in a movement that they do not believe in, but it is of paramount importance that they acknowledge their actions have consequences that cannot be excused by reductionist statements. 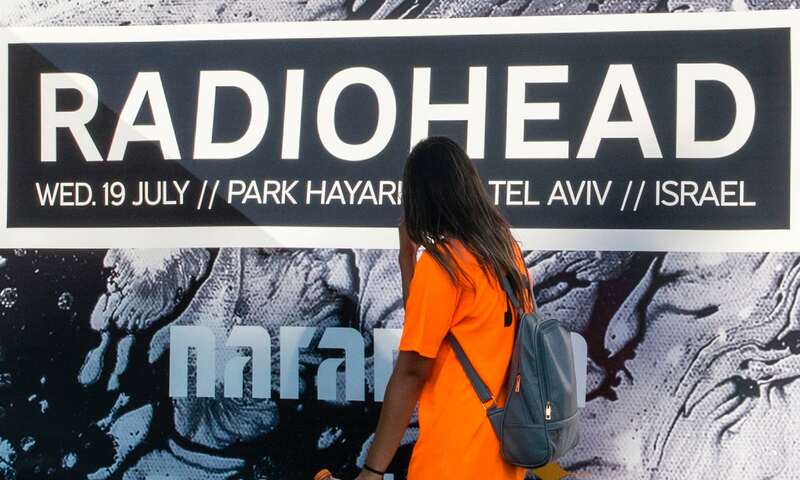 Now right-wing politicians and journalists — the very people Radiohead claim to stand against — are using the concert to put forth their anti-BDS agenda. Israeli diplomat and current Israeli ambassador to South Africa, Arthur Lenk, has tweeted an article that praises Radiohead’s concert, while Fox Nation re-posted an article that first ran on the New York Post titled Don’t tell Radiohead it can’t tour in Israel [*12], claiming that the concert was essentially apolitical and indirectly dismissing the BDS movement. “The kind of dialogue that they want to engage in is one that’s black or white. I have a problem with that.” [*13] Yorke explained his opinion regarding the BDS movement in an interview with Rolling Stone. If Thom Yorke truly believes this, then he and Radiohead should’ve opted for a grey area solution. In other words, instead of adhering to the boycott, they could have donated the money earned from their Tel Aviv show to Palestinian or international NGOs working in the field. On the same day as their concert, Democracy Now! reported that “Israeli-imposed restrictions have limited electricity in Gaza to barely four hours a day, creating a humanitarian catastrophe for its 2 million residents.” [*14] With hot summer temperatures and devastating policies by the Netanyahu administration, the Palestinian community can use all the help they can get. If Radiohead were to offer financial support to mitigate the ongoing crisis in Gaza, they would be providing a kind of aid and activism that is not black or white. They would not have to align themselves with the BDS movement while still helping Palestinians. It would be a truly grey area solution that would acknowledge the complexity of the conflict without depriving Israel of their music and would establish that they are, indeed, not supporters of Netanyahu’s regime. If Thom Yorke had actually engaged with the criticism rather than dismissing it, such a middle ground would likely have come to the surface. While this would not be my first choice of strategy, I believe that this middle ground could at least have been an acceptable solution. With their history of political engagement in their art, I am genuinely saddened that Radiohead did not lead the conversation on this issue but rather offered an uncritical opposition when Palestinians, the international community, and their fans deserved better. If Radiohead has found ways to support Tibet and stand against the likes of Donald Trump and Theresa May, then I am sure that they could have found a way to stand with Palestinians. Posted in Student Activities and tagged Ali Al Arian, BDS, Benjamin Netanyahu, Boycott, Elena Gagovska, Israel, Palestine, Radiohead, Roger Waters, Tel Aviv, Thom Yorke. So I appreciate the fact that you put time into speaking about this important issue, and I appreciate your detailed article. I definitely agree with you that Radiohead could show their support in may ways even if the made the performance in Israel. As a Radiohead very big fun, I did go to the concert in Israel (which was great, although it was very hot) an I cannot explain to you how excited I was about it for the past months. It was an unspeakably huge wish of mine that came true. My point – I think that a boycott – economic, cultural, diplomatic, whichever, is an option that should be considered to tackle Israeli administration’s false behavior, but I also think that I’m still a little bit sad that I didn’t choose to be born in Israel and I need to face the situation where I find articles that explain why I my favorite band can’t play in my country. I agree with many things you said, just remember that there we are not all bad people, and many of us, especially from my community, are trying to make the situation look better, even if it’s not enough. Hey @An Israeli girl, I am really happy that you commented. I honestly couldn’t have hoped for a better response so thank you for engaging with my article. I think that it is a completely valid observation about not choosing to be born in a country that now has an international call for boycott. Boycotts can, indeed, have unfortunate consequences for individuals, but they target a bigger picture rather than the individuals themselves. To be honest I doubt that there were many Netanyahu supporters at the Radiohead concert because Radiohead fans usually aren’t supporters of right-wingers. So I definitely think that a lot of Israeli people are trying to make the situation better — there may have been quite a few at the concert — and their input would be very much appreciated in the larger dialogue that is being had about Palestine and Palestinian rights.